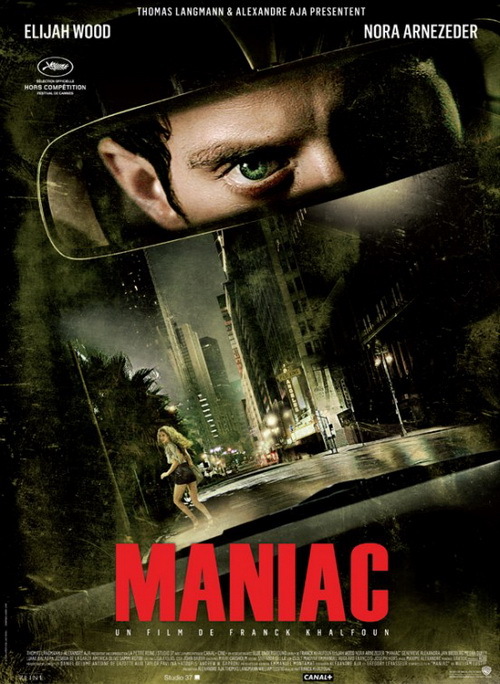 This French/USA production of an updated version of Maniac results in four of the best things a fan of horror cinema could wish for in the hope of an invigorating viewing experience. For slasher enthusiasts it is a superior addition to the sub-genre, spoiled rotten are the gorehounds, it is one of the very finest remakes surpassing the much revered by genre aficionados 1980 original and the film is just simply one of the greatest entries into modern horror of the 21st century. Yes, it does deserve such lofty acclaim. The slasher enthusiasts will gaze in awe at the spectacles of the skilfully executed pitch perfect paced stalk n’ slash set-pieces that are heavy with suspense and tension capped off with the efficiently timed kills all of which elicits chilling terror. The gorehounds are treated to bloody gory delights thanks to Howard Berger and Greg Nicotero’s exceptional gruesome SFX work that show in explicit detail the brutal savagery that is on display here. 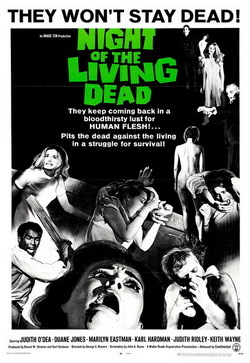 I like very much William Lustig’s earlier movie its grim subject matter is handled with a great deal of intelligence only for it to fall into many of the pitfalls of the sub-genre’s illogical shortcomings but here all this is rectified. Sublimely constructed this is a visually stunning fascinating piece of filmmaking oozing style and substance in equal measure. The film is expertly written and directed, its cinematography by Maxime Alexandre is exquisite and it features a wonderfully atmospheric 80’s style electronica synth score by French composer Rob that is a delightfully reminiscent cocktail of Tangerine Dream, Goblin, John Carpenter and even echoes Cliff Martinez’ gorgeous soundtrack for Nicolas Winding Refn’s brilliant ‘Drive’ (2011). 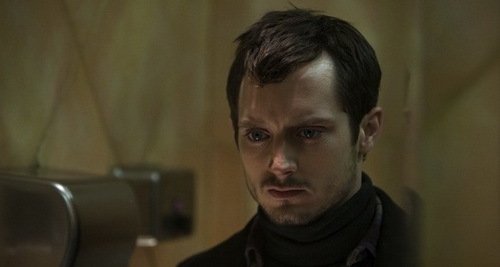 The movie’s powerful central performance from Elijah Wood is an extremely convincing turn that is creepy, terrifying, and emotionally tragic in equal measure; an empathic portrayal of a vicious merciless serial killer in what is a disturbing yet sorrowfully poignant character study piece. Switching the setting from New York to Los Angeles Frank Zito (Wood) is a mentally unbalanced loner who owns a mannequin restoration shop run by his family for three generations. The previous owner was Frank’s mother who has recently died. She was an uncaring and abusive parent neglecting her only child in favour of her promiscuous lifestyle causing Frank’s psychological torment. Since his mother’s death, he has given in to psychopathic urges and now stalks the streets of LA for young women to murder and scalp, as “hair is the only part of the body that lasts forever”. This is in order to place these trophies on top of the heads of his personal mannequin collection he has displayed around his bedroom as so to keep these women alive in his sick twisted mind to stop them from going out and leaving him as his mother did. As well as the haunting flashbacks of his mother’s cruelty to him, in his home at the back of the shop Frank hallucinates of the women he murdered coming back to life in a horrible post-scalped appearance. He also suffers from chronic migraine headaches and goes in out of disturbing hallucinations during the day. Frank sees a chance for normality when he meets and likes instantly French artist Anna (Nora Arnezeder) when she takes an interest in his restoration work of mannequins and wishes to use them for her upcoming art exhibition that Frank helps with. Things do not work between them in the worst possible most horrifying way. Much like Lustig’s movie, we are for the whole of the runtime just in the company of Frank Zito. Although, unlike that previous character study of a “maniac” not only is everything seen from this character’s point of view but also it is literally seen through his eyes as almost everything is entirely shot from Frank’s POV that really does get us inside his head for a psychotic mindfuck of a watch. Through a subjective narrative, we not only see the atrocities he commits on these luckless women but we are made to excruciatingly feel them through his anger and we learn more intimately about the character in an intense 90-minutes long reveal. We not only fear this “maniac” but also we are made to feel for his melancholic pain through the documentation of his childhood abandonment seen through his flashbacks and his self loathing for his evil acts and we are taken on a frightening trip through his hallucinations. POV camera work is one of the most common elements in the slasher sub-genre used for the killer’s perspective when stalking victims but here it is used so much more than that in helping us to understand the deep dark abyss of a serial killer’s mind. This is a first-hand assault on the senses experience. 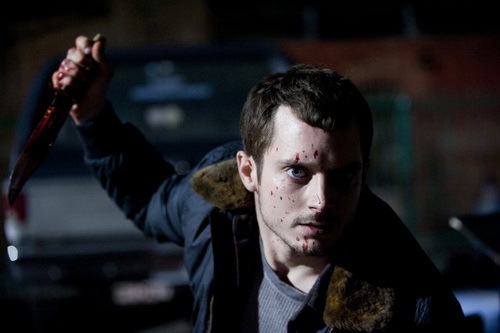 We only see Elijah Wood’s tired looking pale visage when he looks in the mirror, in photographs and when the camera does break from Frank’s eyesight on two occasions to a third person perspective to intensify two of the murder sequences as he brutally knifes and scalps his female victims. This is a bold, brave and challenging approach to a slasher film. The collaborative effort of director Franck Khalfoun, screenwriters Alexandre Aja, Grégory Levasseur and C.A. Rosenberg and Wood in an unforgettable portrayal of a lonely destructive soul have given a refreshing innovative take on a tired sub-genre that much needed a shot of adrenaline. Uncomfortably ugly and yet contradictive to that strangely beautiful as well this is a must see that I just cannot recommend enough. 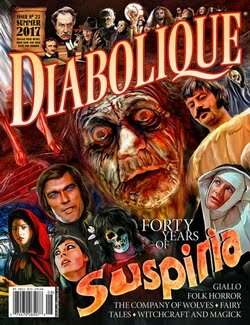 One of the most exhilarating watches I have had with a horror movie in a long time and testament that not all remakes of beloved genre milestones have to be uninspired dreck. Not only is ‘Maniac’ one of the best made modern slasher movies it is also a supreme addition to the understanding of the darkness of the serial killer psyche standing alongside such greats as Henry: Portrait of a Serial Killer (1986). So far, this 2012 made film is the best genre offering released this year. It certainly is going to be a hard one to top. Great blog, man! Definitely going to spend some time looking through it. Thank you, J.M.! Yours is a good read too. Great review! I only skimmed it since I haven't seen the film yet, but I'm definitely looking forward to checking it out! Thank you, Doug. It's definitely a superior film than the original. Wholeheartedly agree. Great movie, great acting, great soundtrack. Definitely one of the best modern horror remakes.